The Department of Computer Technology and Information Systems Advisory Board met in C Building’s Mustafa Akgül Meeting Room on May. The Advisory Board meets at least once a year to provide input on academic, administrative and alumni matters as well as the overall progress of the department. This was the 10th annual meeting, during which the Board reviewed the CTIS undergraduate curriculum, the Software Development minor program, program educational objectives, program outcomes and the process of continuous improvement, and in addition offered suggestions about ways to build new relationships with industry and strengthen those the department currently has. Also during the meeting, Department Chairman Erkan Uçar presented recent developments at CTIS to those in attendance, highlighting the planning for the ABET-CAC accreditation process the department has recently started. Among the attendees were Selim Burat, channel and partner account manager at DELL-EMC; Nuri Cömert, technology and sales consulting director at ORACLE; Gökhan Egehan, public sector account manager at CISCO and a CTIS alumnus; Ogan Özdoğan, solution manager at SAP and a CTIS alumnus; İlker Tabak, honorary board member at TBD; Çağatay Işıksungur, general manager of Bivent; Kadir Herkiloğlu, test division manager at HAVELSAN; Atilla Hakan Özdemir, director of the Bilkent Technology Transfer Office; and Gülay Yetim, projects coordinator at Cybersoft. 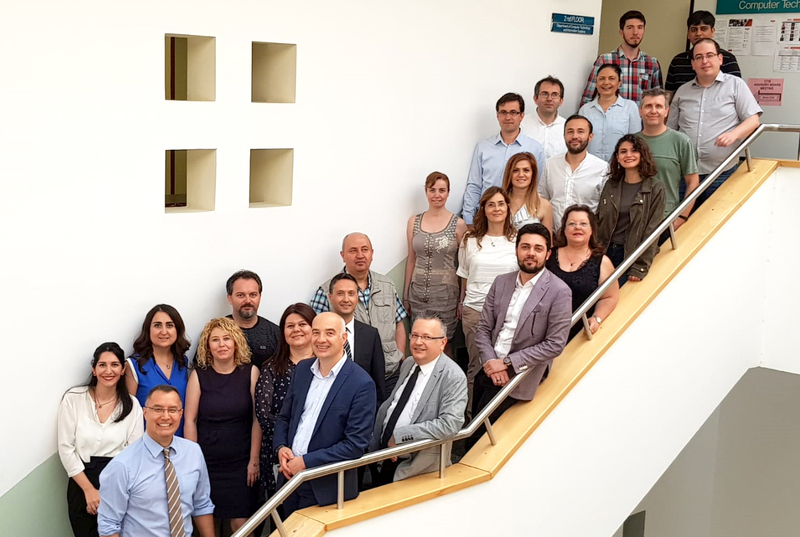 All full-time CTIS faculty members also attended the meeting, as well as students Özge Sıla Erkarslan (CTIS/III) and Sarp Aktuğ (CTIS/I), who were present in accordance with a recent update of the Board regulations stipulating that two CTIS students may be included as members.